What do we call a good Clash of Clans Farming Base and War Base? 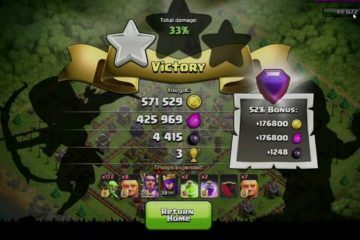 Well, being a Clash of Clans player, I would say, a good farming base produces a lot of stuff while a good war base will be useful when you are trying to defend or attack. 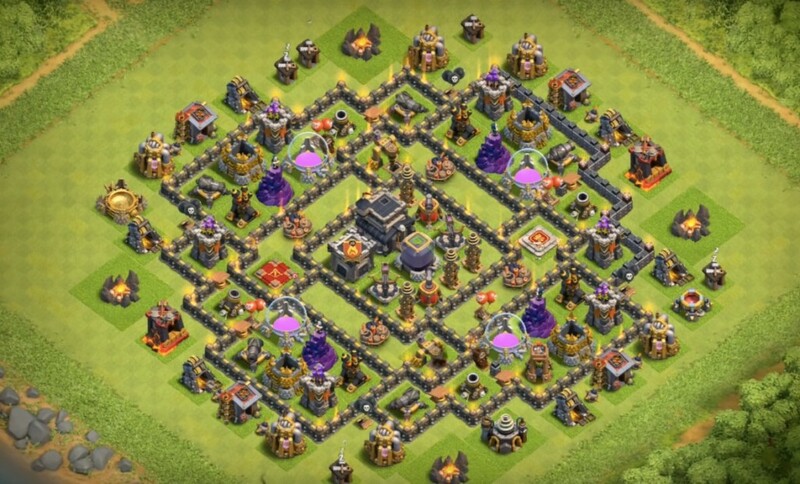 You are going to see a lot of stuff out on the internet about good TH9 farming bases but have you ever found or knew how to build the best Clash of Clans th9 farming base? 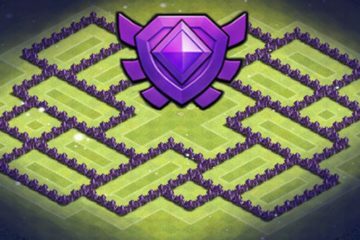 Today, I am going to guide and show you that you can create an optimum TH9 farming base. 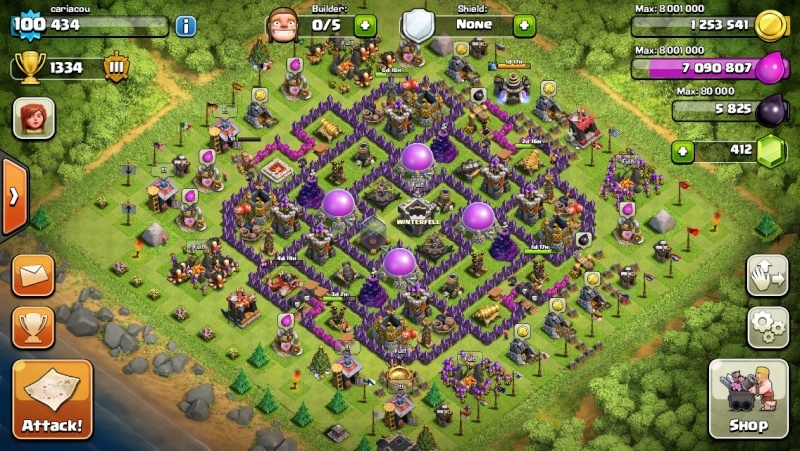 Starting with your farming base is good but since the internet based farming bases trend is out there, most people go with already built town hall 9 farming bases downloaded from the internet. And, since these people were in majority, I decided to go by using a base which I downloaded from the internet. 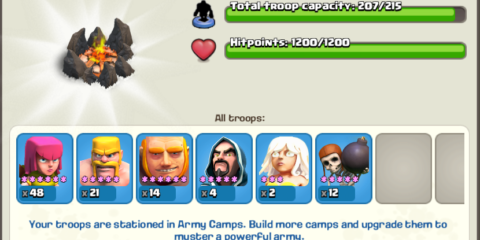 The tips and tricks in this guide will help you with creating the best COC Th9 farming base. So, let us now begin with our primary objective. 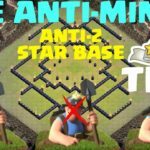 Do not use a Th9 base older than 1 month. Why did I say that in the first step? Well, an older base implies that people out there know more about it which makes it even more penetrable. The fewer people know about your base, the newer, the better it is for you. 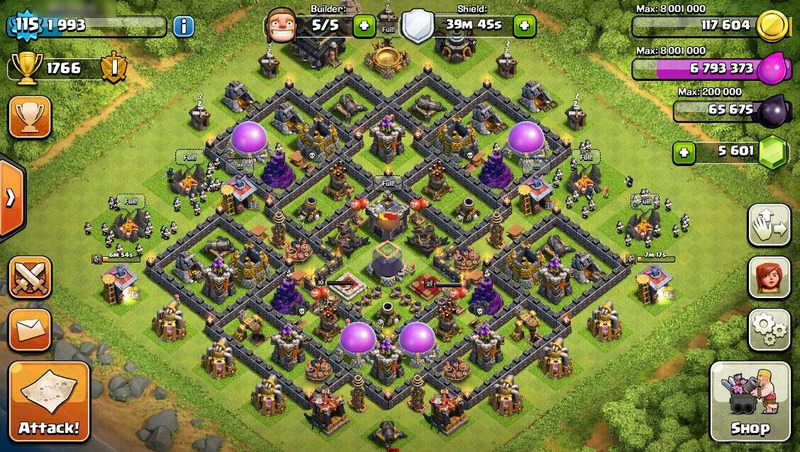 Also, download a base in which the defense work such as wall updated had been the main focus of the creator. 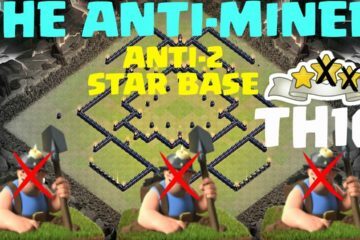 Do not fall for the YouTube baits on the best internet th9 farming bases and analyze the bases with the best of your knowledge or with this guide. A good Clash of Clans player always works according to his strength and weaknesses and of course, he is the one who knows these things very well. Since I have already explained that what is good about getting a rather newer base, I don’t need to go much that with that now, however, make sure that you stay updated about the new base designs and that is the way how you can create a good farming or war base in your game. 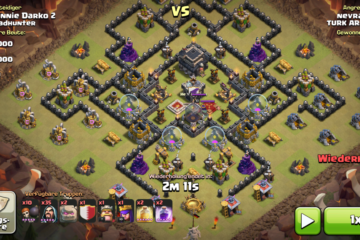 Best Th9 Farming Base has a Dead Zone. I don’t know if all clan players are going to agree with me but this definitely works. 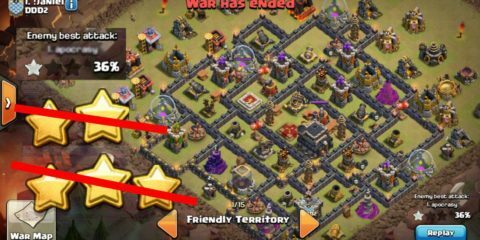 All the players who have reached the highest ranks were seen using dead zone in their th9 farming bases which are the best known 3-star war strategy. 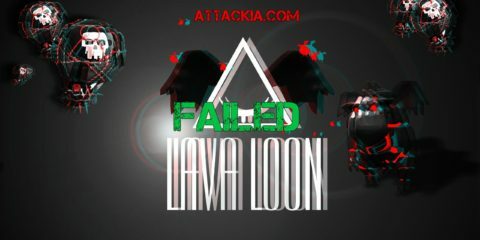 The reason behind the success of this strategy that it is very vulnerable when the attacker is using Hog Riders such as GOVAHO and GO HO. You are not going to believe I have seen more than 90% attackers failing to breach this layout and the rest were damn skilled. Trapping your enemies in different ambushes is always something which a cunning and good player would think of and when it comes to COC, what is better than having a dead zone. There is one thing you really need to know while you want to have a dead zone. Most players who don’t play this properly, the enemies detect their dead zones easily and then all the resources and time go waste on that. However, if you have played it according to the town hall and other buildings in your defense, it is definitely going to prove much effective for you. 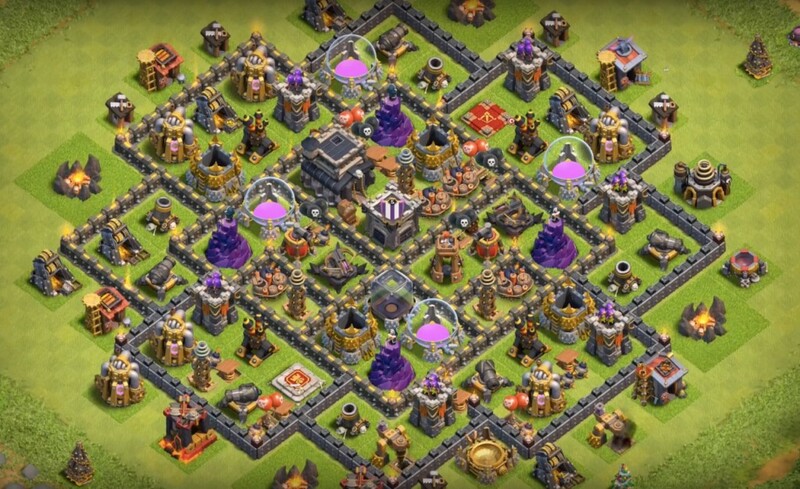 Best Th9 Farming Base may not have a Dead Zone. Some people would at once burst out on the contradiction between my words. As I just said that the latter heading and now I am saying that it may not. Well, a good COC player would know that. This can be used as a good defensive strategy. Let me show you how? With a dead zone, expose a weaker part of the town hall to the attackers. Lure them into the area and then use your defensive weapons such as towers and giants to trap them. As for the attack, this is definitely not a 3-star approach and the maximum it could bring is 1-star but if you are in the building phase and not ready for battles, these are the optimum values for you. Yes, there are times as well when you don’t need a dead zone and at this moment, wasting resources will be a foolish endeavor. Make sure that you have one when your base is right according to that and if not, just leave the thought of having it. 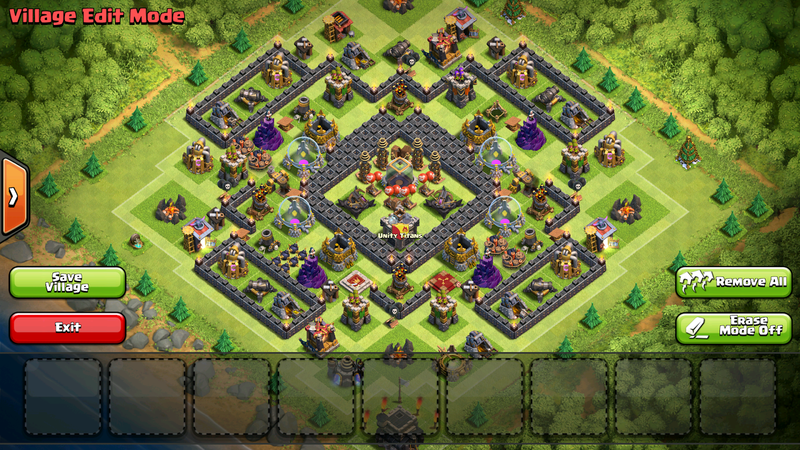 Try Th9 layouts with Bomb Towers. 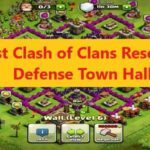 Saving your Elixir and all of your other resources is the primary priority while you are building a town hall and that is when you can’t spend more on other defensive tactics. That is when Bomb Towers come in handy since they are the cheapest thing to afford at the moment and could help you saving a lot of resources and Elixir at the same moment. Make sure that all the resources are being used equally in all parts of the town including labor and troops, which is compulsory for a building a successful clan. With the new upgrades everyday we see in the game, make sure that you upgrade your bomb towers and using even more effective bombs is always a wiser thing to do. Never be too miser to spend some resources on upgrading these bombs which are going to prove a key in your defense. 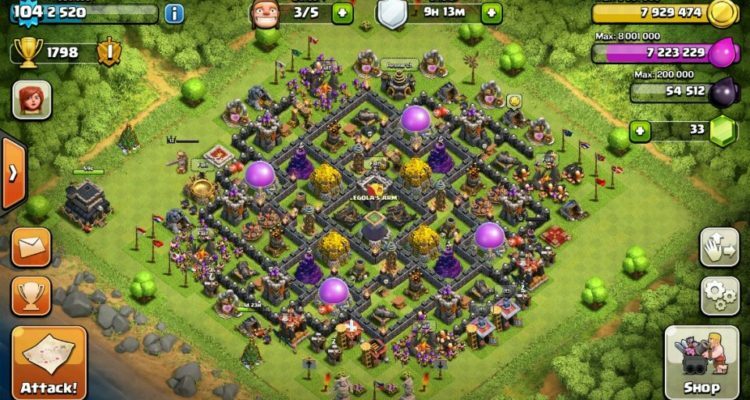 Using Dark and Gold Elixir Protection on Th9 Farming Base. 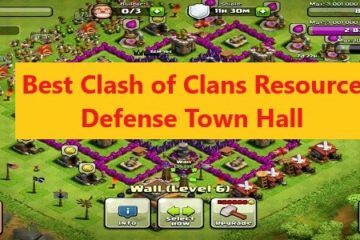 Building stronger walls is the number one defensive thought which comes in our minds and being used in Clash of Clans. Now using both the Dark and Gold Elixir, you can create an outside ring, which results in an outer core making double layers on your walls making them extra powerful and this will definitely give your enemies a hard time. As for storages, splash damage forces can be considered handy. Keep upgrading your walls as well because they are the most basic thing in your defense and the thought of having a good defense without owning good and stronger walls is just a fib. 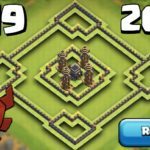 Some other Tips for Creating a Best Th9 Farming Base. 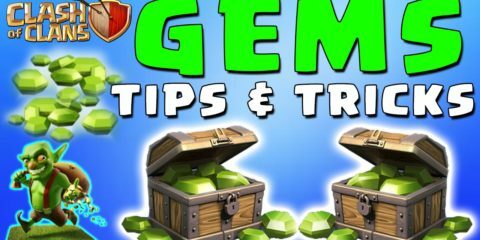 Here are few quick tips which will help you creating your best Clash of Clans Th9 Farming Base. · As for 9×9 tiles, their compartment shouldn’t have a central point due to the danger of an earthquake. · Your Air Defenses should be as far as possible from the outside area. · Heroes should be nearer to the base since the Suicide King could easily get them out there. 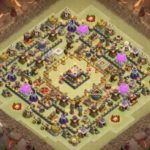 · Make your Clan Castle harder and harder to be lured. 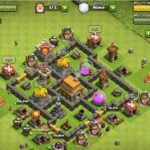 Once taken care of all these strategies, I bet that you will succeed in creating the best Clash of Clans Th9 Farming Base. I really hope that you enjoyed this guide. 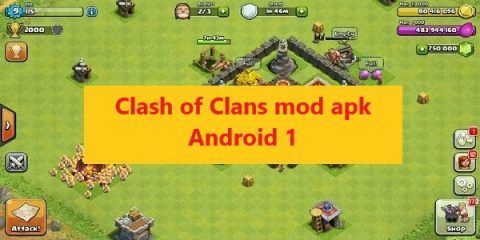 Let us know what you think in the comments section and keep visiting our website for more Clash of Clans stuff. Sorry to say sir but if you are talking about TH9 than from where you get inferno tower at TH9, mentioned in you tips.